Traverse City's Pristine Carpet Cleaning and Floor Care Service! Pristine Floor Care provides carpet cleaning in Traverse City MI and uses a truck mounted steam cleaning machine. 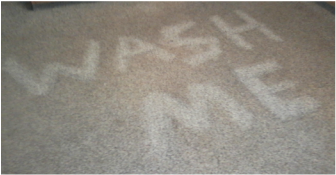 Carpet cleaning should be performed on a regular basis by a professional carpet cleaner with a truck mounted machine. This will not only extend the life of your carpet, it will also make your whole home healthier and cleaner. While Pristine Floor Care specializes in ﻿carpet cleaning, we do so much more! We also clean tile floors and upholstered furniture. And stains? Whether it's cat or dog stains, wine stains, or those unknown mystery stains, we spot treat them all to make sure we leave your home or business Pristine Clean. Traverse City residents have come to trust and rely on the professional carpet cleaning experts at Pristine. ​When James Palmer decided to start a carpet cleaning company in Traverse City MI he knew that he wanted to do it right, and that meant buying a truck mounted steam cleaning machine. Since that first day not much has changed. Pristine Floor Care still uses steam cleaning to clean carpets and they have become known as one of the most customer focused carpet cleaners in Traverse City. Pristine has built it's reputation on hard work and treating people right. We're not always the cheapest carpet cleaning company, but we are one of the best. And when it comes down to it, if you're willing to pay someone to clean your carpet don't you want it done right? And while Pristine doesn't offer discount coupons, we also don't schedule 6 carpet cleaning jobs a day and are never in a hurry to finish and run off to the next house. So, if it's time to hire a professional carpet cleaner we hope you'll read our google reviews and then give us a call. We provide carpet cleaning in Traverse City and the surrounding areas including Suttons Bay, Lake Ann, Interlochen, Elk Rapids, and Glen Arbor.